The school is already over and kids are so excited about summer holidays. To keep our children a little bit busy, Warner Bros. Home Entertainment and Sesame Workshop prepared an amazing surprise for everyone who loves Elmo and his friends. Get ready to learn with everyone’s favorite furry red monster, as Warner Bros. & Sesame Workshop, the nonprofit educational organization behind Sesame Street, release Sesame Street: Count on Elmo on DVD and digital July 7, 2015. Learning how to count is fun & easy with Elmo! For more than 45 years, families across America have looked towards Sesame Street's beloved Muppets to help children everywhere grow smarter, stronger and kinder by learning their ABCs, building their inner strength and developing their moral compass – along with a lasting love of learning. These important lessons continue in the latest Sesame Street DVD, as Elmo and friends teach children to love math in Sesame Street: Count on Elmo. Kids can rely on their Sesame Street friends for lots of fun, laughs and counting in Sesame Street: Count on Elmo. 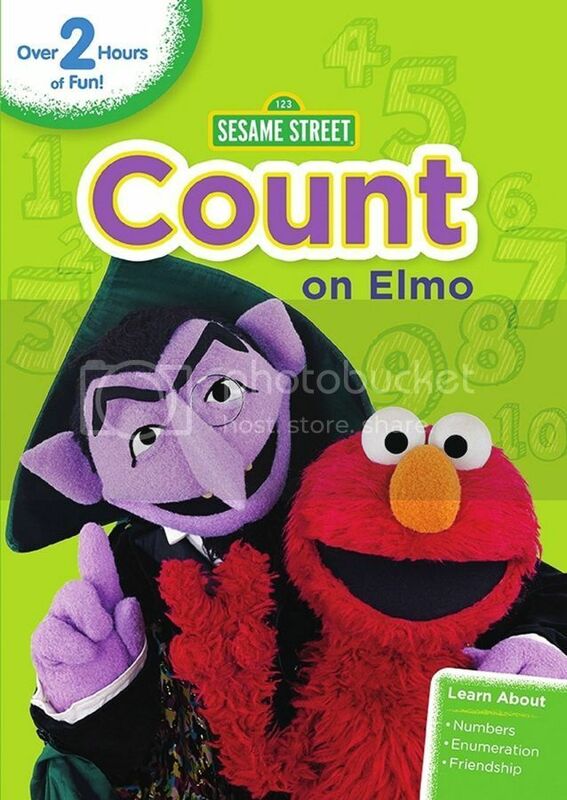 When the Noble Counting Prize committee is looking for the World’s Greatest Counter, Elmo knows that his friend The Count is perfect for the prize. Elmo, Grover, Abby and Cookie Monster try and capture The Count’s amazing counting skills on camera so they can enter him in the contest, but everything goes awry! Will The Count win the prize or will it be a Count-astrophe? Kids will learn about friendship and math concepts such as numbers, counting, and enumeration. With over two hours full of friendship and fun, kids will really enjoy counting along. Featuring the new song “Count on Friends,” this DVD also includes the bonus video Pre-School is Cool: ABC’s With Elmo. To celebrate this release, Warner Bros. Home Entertainment offers one lucky Teddy Out Ready reader the chance to win a copy of Sesame Street: Count on Elmo DVD. The giveaway is open to US residents only, no P.O. Boxes please, and ends July 20, 2015. Labels: DVD , Elmo , Muppets , Noble Counting Prize , Sesame Street , Sesame Street: Count on Elmo , Sesame Workshop , The Count , Warner Bros.
My nephews like Elmo and I like Big Bird. I love the Cookie Monster... my partner in crime with the cookie jar.